The US Supreme Court issued three decisions this week. In the first, Moore v. Texas, the Court reversed the Texas Court of Criminal Appeals on a death penalty case that had already come before the Court once, during its 2016 term. This time, the Court made its decision without oral argument. In a per curiam (unsigned) opinion, the Court held that the Texas court’s redetermination that the defendant in that case does not have an intellectual disability and is thus eligible for the death penalty is inconsistent with with the Court’s earlier decision in the same case. In another case, the Court ruled on a question of a state’s allegedly discriminatory taxation scheme. In Dawson v. Steager, petitioner Dawson was a retired federal marshal living in West Virginia. That state taxes the retirement income of retired federal marshals while exempting from taxation state and local law enforcement officers. Federal law prohibits states from treating federal employees differently from state employees in the absence of “significant differences between the two classes” of employees that justify differential treatment. The Court found no “significant difference” and thus that the state law unlawfully discriminated against Dawson as a retired federal employee. 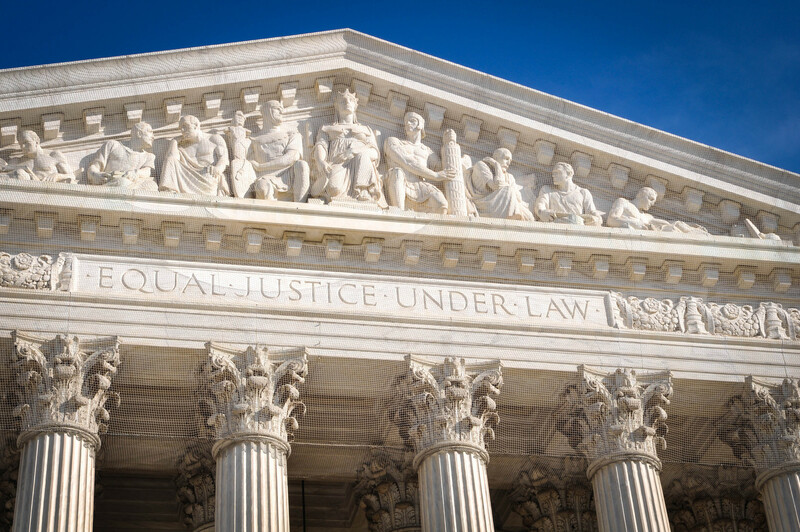 Finally, in Timbs v. Indiana, the Court held that the Eighth Amendment’s Excessive Fines Clause applies not only to the federal government, but also to states. Using a theory called “incorporation,” the Court reasoned that because the Clause is “fundamental to our scheme of ordered liberty,” the Due Process Clause of the Fourteenth Amendment imposes the same requirement on the states that the Eighth Amendment imposes on the federal government. Most other clauses in the Bill of Rights—including all First Amendment rights and the Second Amendment right to keep and bear arms—have been held to be incorporated against the states.